The playful personality of this necklace from Daniel Jocz brings a smile to my face. 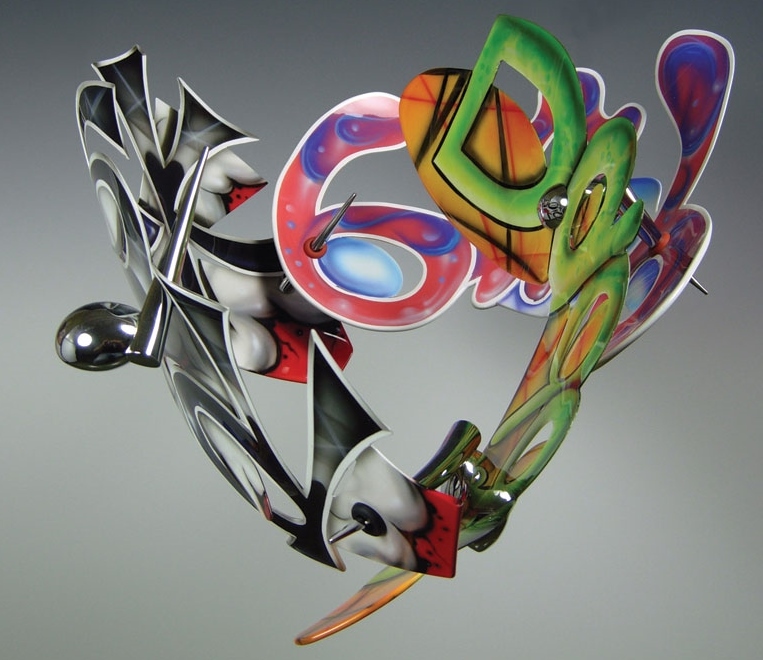 He combines aluminum, chrome and auto-body lacquer in his jewelry for a fanciful dialog with customers and viewers. While I could not find a great deal of information about his work, you can find more on google images.